MainAll NewsMiddle EastWhy aren't the Arabs fighting ISIS? Experts discuss why Arab coalition states dropping out as West picks up speed - internal Islamic war with Iran at the center of things. Many have been puzzled at the way in which Arab members of the US-led coalition bombing Islamic State (ISIS) in Syria and Iraq have quietly been ending their involvement, even as the West escalates its own. Saudi Arabia and the United Arab Emirates (UAE) are only running one mission against ISIS targets a month, a US official revealed to CNN earlier this week, while Bahrain stopped in the fall as did Jordan in August. The change comes even as US President Barack Obama has breached his promises and deployed US Special Forces, and the UK, France and Germany are all starting to take a much wider role in the fight against ISIS. 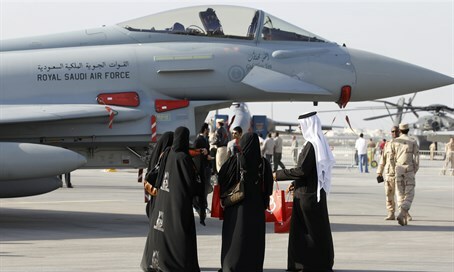 Fawaz Gerges, a Middle Eastern Studies professor at the London School of Economics, told CNN on Thursday that a proxy war in Yemen between Saudi Arabia and its Sunni allies on one side and Shi'ite Iran on the other is a key reason the Arab states are dropping out. Saudi Arabia began leading a coalition of states including Egypt, Jordan and the UAE last year to oppose the Iranian-backed Houthi rebels in their attempted conquest of Yemen. "The critical shift was the coalition in Yemen," said Gerges. "You're talking about a major 24/7 war. The Saudis and the Emiratis - the two countries with the most capacity in terms of air power - are flying fighter jets over the skies of Yemen, so that's why you really have to prioritize the fight in Yemen over the fight against ISIS." "The Arab states, including Jordan - after the incident with the pilot (burned to death by ISIS) - are laying low," added the expert. "ISIS doesn't just exist in Syria and Iraq - it has major constituency supporters in almost all Arab countries, including Saudi, Kuwait, Lebanon and Jordan. So they want to really minimize the risks." Explaining the depth of the internal threat, Gerges called to "remember that one of the largest contingencies within ISIS are the Saudis. They're not just fighters, they play leadership roles - and ISIS has carried out major attacks in Saudi, both against Shi'ite mosques and against (other) Saudi targets." "Let Iran deal with it"
Gerges explained that the Sunni Arab states have until now been loath to get too involved in the fight against ISIS because doing so would strengthen Iraq and Syria, both of which are key allies of their fierce rival Iran. "There's been the idea that ISIS is a bigger challenge for Iran and its allies than it is for the Arab states, even though this feeling is changing now." "ISIS has threatened not only Iran and the (Shia-)dominated regimes in Iraq and Syria but even the Sunni-dominated Arab states," he said, elaborating on the shift in consciousness. However, Ghadi Sary, a Middle East expert at Chatham House, told the news site that Arab military intervention in Syria or Iraq is highly unlikely - not least of all because Damascus and Baghdad wouldn't allow it. "I think it's going to be very hard for that to happen - you've seen the Iraqi reaction to the presence of the Turkish army in northern Iraq," Sary said, noting how Iraq ordered Turkey to withdraw its troops and tanks out of the country on Monday after they entered to guard training centers without permission. "It is important for any intervening army to have the backing of the central government, or at least the army in the country, (including) the army of Syrian President Bashar al-Assad, who everyone will see as impossible to work with," he added. Sary also argued that Arab armies commonly control matters inside their own countries, but are less prone to taking international action. "For most of these countries, the over-involvement by the army in the internal affairs of the state has become acceptable, but when it comes to foreign intervention, it becomes problematic," he said. "We're seeing the Egyptian army focus on the Sinai and its internal problems, we're seeing the Syrian army doing that, and in Yemen it's almost seen as the Saudi army cleaning up their own backyard - but not really intervention on the international level."